These are the best dark chocolate truffles ever. First, they are made with pistachios and they delicious. Also, they are rather healthy and a lower calorie dessert when compared to so many others. 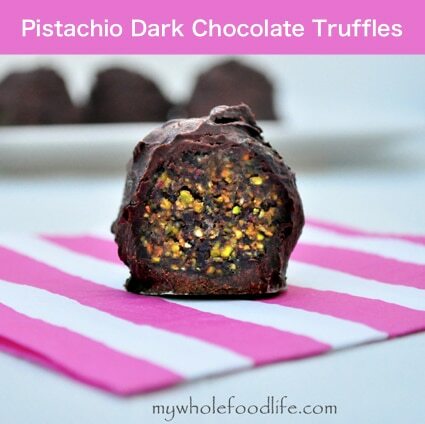 Second, truffles are super easy to make and require to baking. If your taste buds are watering, go get this dark chocolate from My Whole Food Life.